This recipe was inspired by my amazing Mom! She grows figs and gave me plenty of figs to keep me happy She also told me about a recipe she was going to make my dad involving chicken, figs and balsamic. Now of course this got my creative juices flowing. And this is how the Fig & Honey Chicken came to be! I did use figs, balsamic vinegar, and chicken. However, that is where the similarities end. This was an experiment gone AMAZING!!!! Place sliced onions on the bottom of the pan. Rinse chicken under cold water and place on top of the onions. 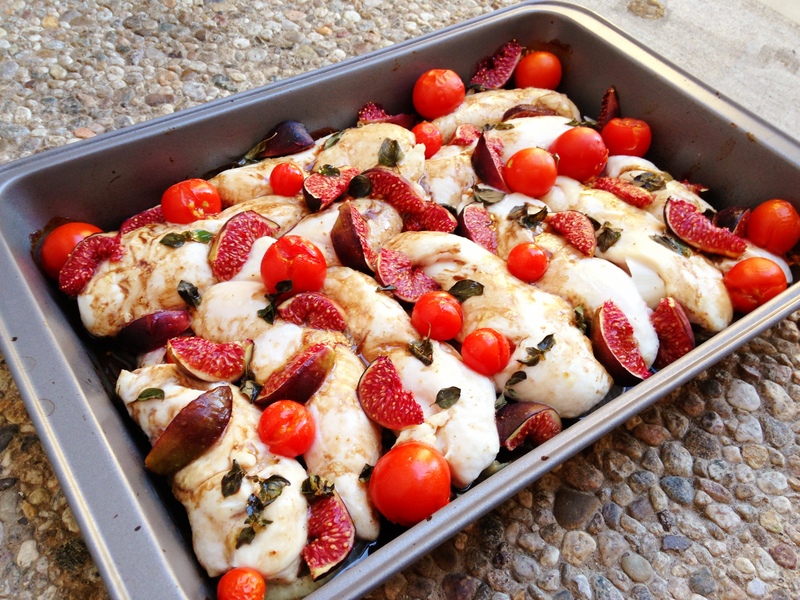 Top chicken with the quartered figs, cherry tomatoes, and basil. Mix together balsamic vinegar, extra virgin olive oil and honey. Then pour the balsamic honey mixture over everything. Cook for 20-25 minutes or until chicken is cooked through! This can easily be halved. However, the leftovers are awesome! 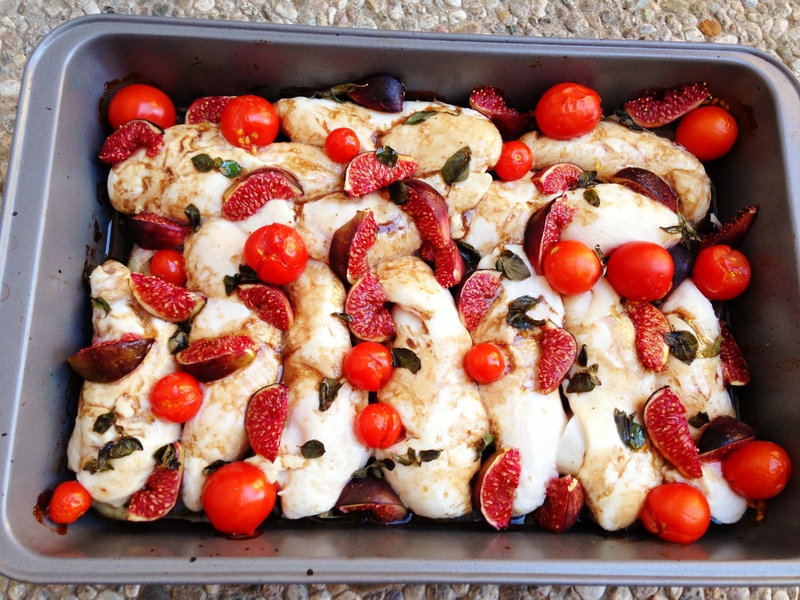 0 Responses to "Fig & Honey Chicken"
I am in the middle of writing an article for a triathlon site and the word FIG popped across my screen so I had to stop everything I was doing to read this. Like I said to Sarah, I am going to say to you. Anything you make has to also have a vegetarian component to it. Sarah has to make all her meals without dairy so that I can indulge and now you do to. I think that is only fair! HAHAHA! You crack me up! I will definitely try! It has the non-dairy part. This could actually be amazing if you replace the chicken with tempeh or tofu! Want so more figs! Your dish looks amazing! I’m so glad I found your blog! 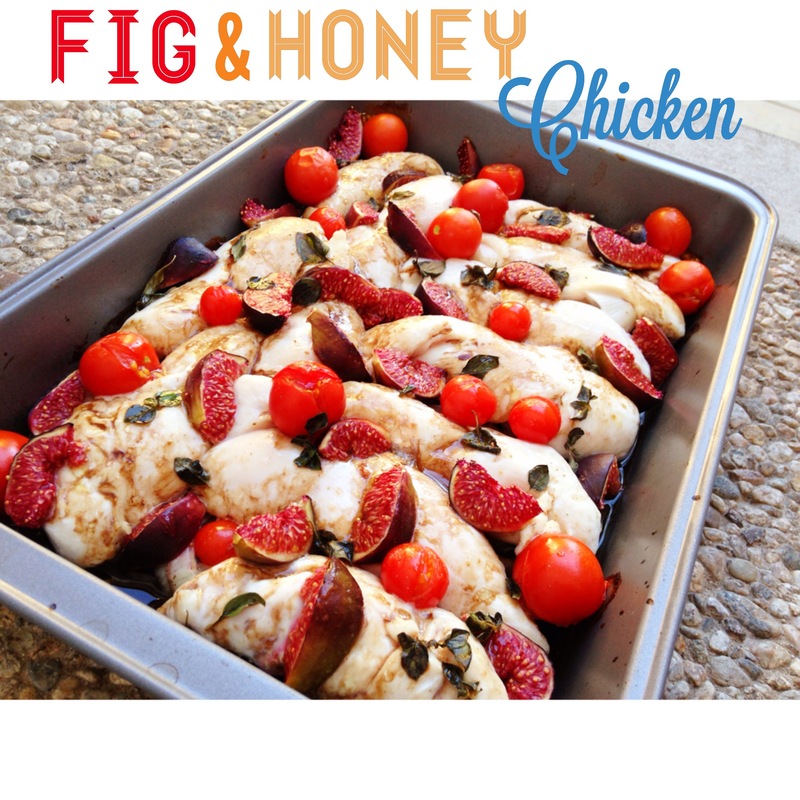 I love your ideas, and I’m very excited to try the fig & honey chicken. Your pictures are also super cute! 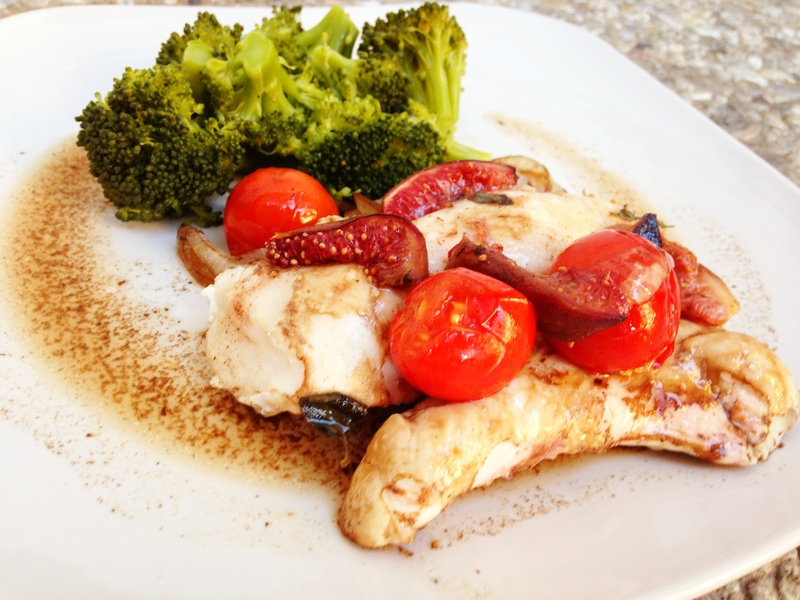 Do you think you could do the same recipe using salmon instead of chicken? Yes you can! I would be just as great!